Our campaign is now working on its objections submissions to the Redrow planning application. We have informal information that this will be submitted in November. We have been busy fundraising and have hired a professional planning consultant to help us make this submission. More funds will be needed to ensure we can follow every possible legal route open to us, and if we lose the planning application, to get the decision called in by a govt inspector. Please donate if you can using our website (home page) or Facebook. Written objections will need to be sent in advance to the planning committee once a date and a planning application has been announced – and we will be encouraging all supporters to send in their own objections. Keep following our website, Facebook and Twitter for up to date information. Redrow ‘consultation’ one-day event to promote plans to build executive housing over Sefton Park Meadows. Public consultations are weighted with the assumption that land will be built over, only asking for views on the details, not the proposal itself. Redrow was announced as the Council’s preferred developer to prepare a planning application – the sale of SPM is subject to successful planning permission. Liverpool City Council’s Cabinet agreed to market the land on Park Avenue for sale. 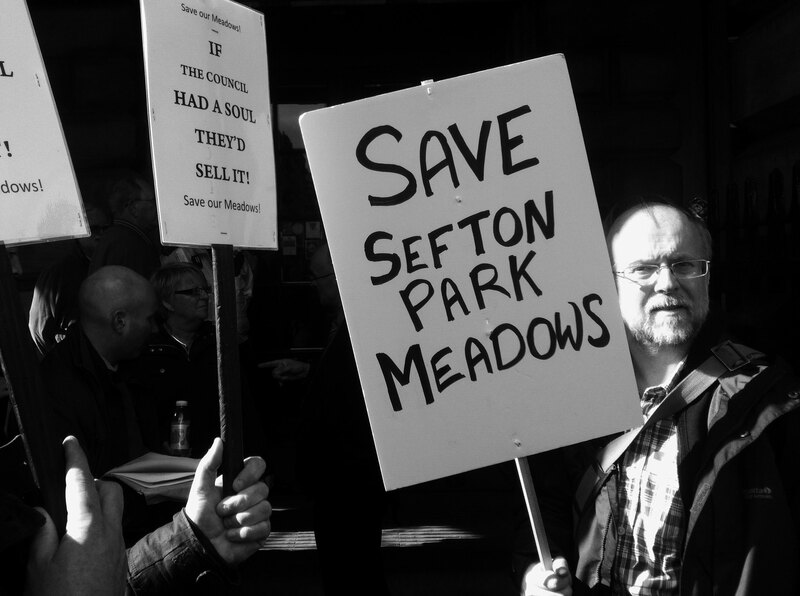 Sefton Park Meadows will be advertised to building developers subject to planning approval for an exemplar housing scheme. Closing date for objections to disposal – the Council received an all-time record of written objections with over 1200 formal objections and 7257 people signing a petition against the sell-off. Advertisement in Liverpool Echo to notify the public of the City’s intention to dispose 2.425 hectares of incidental open space on Park Avenue (SPM). The campaign to stop the sale of this land very quickly attracted huge support from local people. Over 7,000 people signed the on-line and printed petitions by the closing date of May 31st 2013. We achieved over 1,200 objections in June 2013 – the largest of any greenspace campaign to date. The media have supported the campaign with articles in local press, coverage on radio stations, North West TV, and internet TV stations Bay and Bling TV. The proposal to sell provoked outrage on social media networks. The campaign held the first Mass Picnic on 1st April 2013, bringing 400+ people to start a campaign, followed by the first public meeting on Tuesday 16th April, attended by over 200 people. From here, we set up a small campaign committee meeting every week, and now fortnightly, at the community centre on Lark Lane. Our email and printed newsletters are distributed regularly. We have Facebook, Twitter and this website to drive the campaign through social media. The campaign has brought together many different groups of people who have used and loved this piece of land regularly for many years. 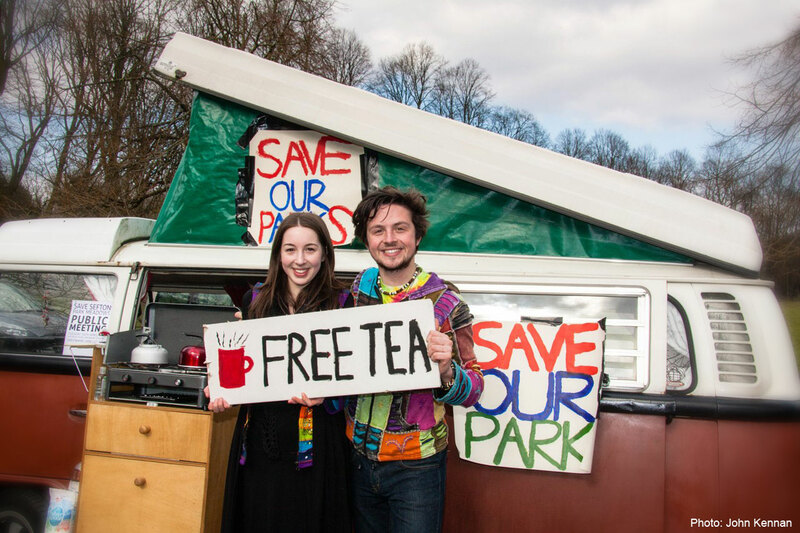 Campaigners have been collecting testimonies from people who have a long association with the meadows for an application for Town Green Status. We currently have testimonies from over 50 people. Julie from Greens Walk feels safe on the meadows after dark. “I wouldn’t go into Sefton Park after dark, it’s not safe, but you are OK on the meadows”. Ahmed from has suffered racial abuse and violence in Aigburth and Lark Lane. “I don’t feel safe in Sefton Park. I walk around the Meadowlands often in the evenings and after dark – it is the only place I am safe. I need this land for therapeutic reasons”. Paul who grew up in St. Michael’s but now lives in Speke was first drawn to the site because it was the first place with nesting Sparrowhawks. “It has a diverse wildlife, and protects the nature reserve area of Sefton Park. I have been regularly recording the diversity of wild life on the meadows for over 20 years”. 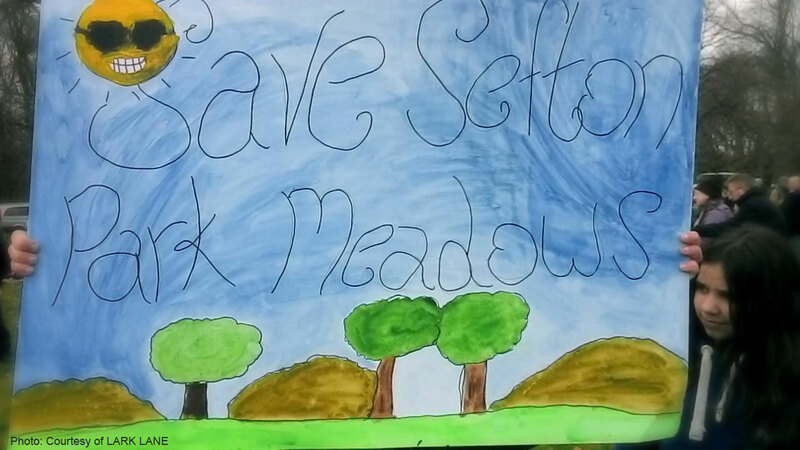 The council should avoid a long, costly and damaging campaign by withdrawing it’s plan to sell Sefton Park Meadows now. It should start to consult with local community groups around improvements that could be made to the park.